I’m only about 20% into this disgusting series of tirades published in a paper Ford owned. Probably the rest is more of the same. It seems to me that Ford’s loathing and fear of Jews matches that of Hitler, who had a life-size portrait of Ford in his Munich office. 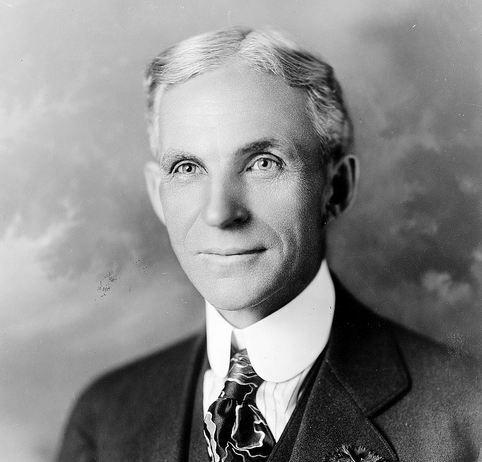 Henry Ford was a very successful man. What drove him to write this? What was he afraid of? Where in his background or education did this fear come from? Ford wrote 91 articles bashing the Jews in the 1920s, received much criticism at the time, and never changed his position or apologized then. He also got an award from Hitler, I think in 1937.
to save Jews on their way to the ovens. He spread the same message in the U.S.
as Hitler did in Germany. Here are some excerpts from what I have read so far. • The Jew is the world’s enigma. Poor in his masses, he yet controls the world’s finances. • The Jews’ enemies were always stripping them of their last ounce of wealth, yet strangely, the Jews recovered very quickly and were soon rich again. • This distribution of the Jews over Europe and the world, each Jewish community linked in a fellowship of blood, faith and suffering with every other group, made it possible for the Jew to be international in the sense that no other race or group of merchants could be at that time. … More to follow if I can force myself to read more.